Prepare whipped topping mix according to package directions. 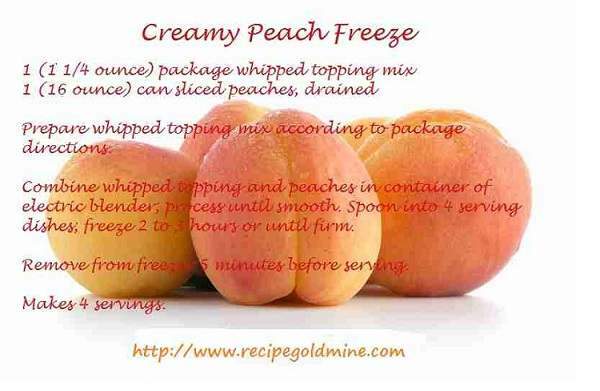 Combine whipped toppin and peaches in container of electric blender; process until smooth. Spoon into 4 serving dishes; freeze for 2 to 3 hours or until firm. Remove from freezer about 5 minutes before serving.